Most female celebrities wouldn’t dream of being seen out in public in anything less than a full-face of make-up and designer outfit. 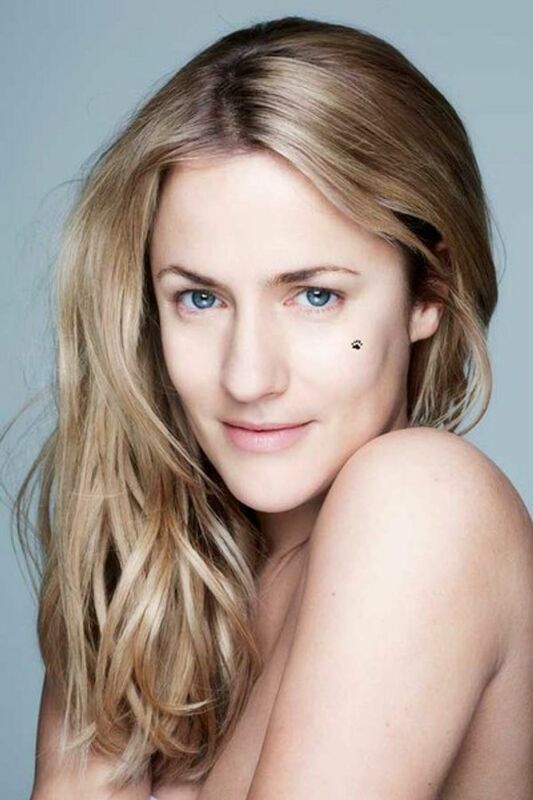 But Caroline Flack, Heidi Klum and Louise Redknapp have ditched the lipstick and washed off the mascara as they are about to launch the first ever BearFaced Day campaign for BBC Children In Need. The brave females are encouraging women to go without make up on Friday 9th November to help raise money for disadvantaged children and young people across the UK. Obviously having a photo taken without any of the usual slap is pretty daunting, but Xtra Factor host Caroline Flack has thrown herself into the challenge. The 32-year-old looks virtually unrecognisable in the campaign photos shot by top fashion photographer Rankin. Harry Styles' ex told the BBC: “I was extremely honoured to be asked to get involved. Supermodel Heidi Klum and media personality Louise Rednapp also wanted to take up the challenge, and despite juggling busy careers and children, the women still look practically flawless. Each of the famous females have a tiny little paw print visible on their left cheek to signal that they're supporting the BearFaced Day campaign. If you want to take part in the BBC Children in Need BearFaced Day on 9th November, you can get your friends, family and colleagues to sponsor you via BT My Donate, or pick ‘BearFaced’ as the event across most other digital sponsorship sites. Every penny raised will go on to help change the lives of disadvantaged children and young people across the UK. Harry Styles' dad: Caroline Flack said we weren't bothered by relationship - that's rubbish!